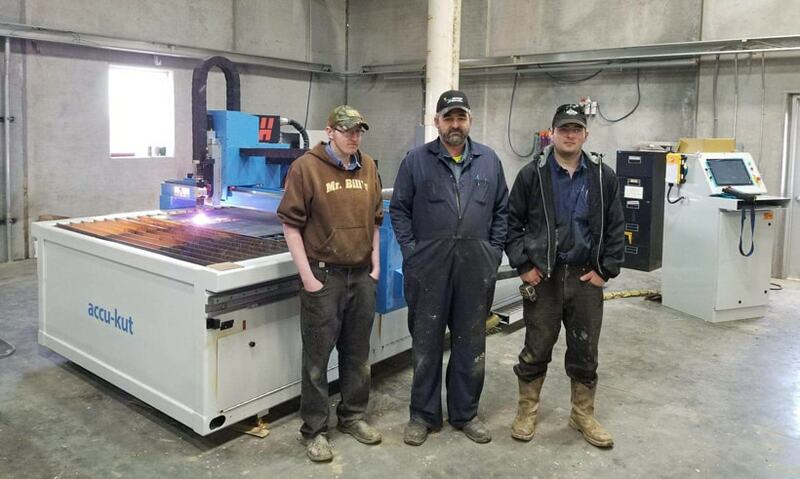 Platte Colony Welding in Platte, South Dakota, recently purchased an AKS accu-kut with a Hypertherm XPR300 plasma supply unit. AKS received a thank-you letter from Phillip Waldner at Platte County Welding, and we are pleased to share it with you. 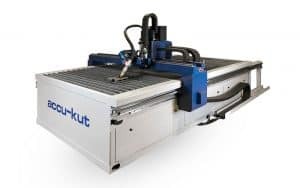 We are very blessed that we made the choice to go with the AKS accu-kut plasma cutting system and the Hypertherm XPR300 X-Definition plasma supply. We definitely believe we were lead in the Right Direction from our Heavenly Father. Many, many thanks to all who helped us choose! We feel we bought a machine that is built like a battle ship…built with pride, and that is something you can all be proud of. The Controller is very simple and user friendly. I was worried that it will be a tough nut for me to crack for no reason at all; it turned out to be quite simple to operate. And, the cut quality we can produce without slag on plasma is a lot more than we were expecting. 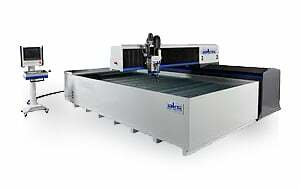 We definitely could never afford a laser, which was an option for us because of material thickness. We can’t be thankful enough for the everything the technician, Dan Diamond, did and showed us during our installation process. I know it’s impossible, but I wish everyone that purchases a machine has Dan Diamond as their install tech. Very knowledgeable, patient, kind and appreciative. He has a way of explaining that is easy to understand and importantly, respects our way of life. Thanks a bunch, Dan! And, thanks a million to all that this may concern, and to all that were involved in our purchase and installation! Thanks Phillip and the Platte Colony Welding team! 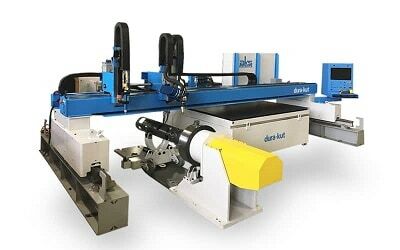 We truly appreciate your business and wish you great success with your new AKS plasma cutting system.